(2/20/2016) --- At the end this is just a theory I had after seeing certain clips within the show, how certain events of the show connect or at least are vaguely explained in between the game as well the different episodes. We all know, the show exposes the idea of different dimensions but also there is a general lack of continuity in different episodes. That wasn't made randomly, the idea of lack of continuity was made in order to keep the "organic" development of Rick and Morty story-line but at the same time there are some fixed elements that can be give some clues about the characters backgrounds. The game Pocket Morty's link towards the television show and gives some vaguely but insightful information about the Rick and Morty multiverse and which character is each one. To start we need to locate the focal point of the game in which is Morty, just Morty without any title or other characteristic. Assuming that this game takes place on the replacement dimension after the events of Episode 6 then Morty from Dimension C-137 and (Rogue) Rick as there are no signs of the Cronenbergs and Jerry seems to be aware of the Rick Citadels as well he seems to be in touch with Rick adventures, an aspect the Jerry from Dimension C-137 wasn't too aware off. On the first episode we learned that Rick has been absent from his family for at least 15 years in which expands much of Summer's life as well Morty's entire one, On January 15th Rick suddenly appeared as on the Pilot the viewers know that Rick has been living with the Smith's for at least a month. In that short amount of time he started to bond with his grandchildren, at least the C-137 version's of Summer and Morty. There are some contradictions in which he seems to be that Rick visited at a certain point of Morty's childhood but overall was extremely absent of his family life, as well on Close Rick-Counters of the Rick Kind the Beth from the Replacement Dimension seem to have a more friendly approach with her father as before the Rick from that dimension died he seemed to be more constant in their lives that the Rick from Dimension C-137. The Replacement Dimension and C-137 seemed to follow a similar course in their histories, as well from the dimension in which Rick seems to come from, giving him the chance to fit properly in all of them. 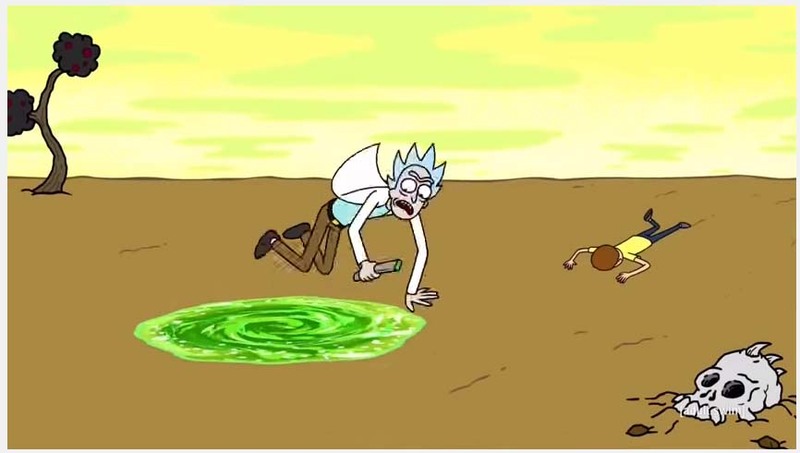 C-137 has another gap in which it seems the original Rick from that dimension vanished without a trace and the Rogue Rick took his place after killing his own Morty. 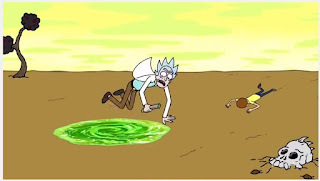 The idea that the Rick we know is not from C-137 at all comes from the very intro in which he abruptly escapes from a dimension or a planet filled with predator toads in which his Morty eventually got killed. Instead of trying to fix the problem by cloning his Morty or "traveling through time" or dealing with his family, he just jumped to the C-137 in which the Rick there was absent for a long time. Trying to fix his mistakes he took some interest on his grandson from that dimension and became his protector, up to the point that he had shown some borderline personality to keep his new Morty safe, but also he kept some of his lazy habits in which he created the Cronenberg virus and instead of fixing he just left along with Morty to a dimension in which his replacement counterparts died in an explosion after fixing the Cronenberg virus. Assuming that the Rick from C-137 came back and found the world infected with the virus and no signs of his Morty he probably went insane for not having the symbiotic relationship most of the Rick have with their Morty's after being separated for certain periods of time. This Rick started desperate to search for his Morty and in the process recruiting almost any Morty's he found as substitutes. Then during the game events Mysterious Rick or as I like to call it Prime Rick seems to be focused on Rogue Rick Morty, his Morty that Rick stole as Rogue Rick became responsible of his own Morty demise at the jaws of the carnivore toads. As time passed Mysterious Rick succumbed to the insanity of not being synchronized to his own Morty and couldn't sync with any of the ones he captured or stole to other Ricks and so he became the detonator on why the Pocket Morty's game started, in which it seems to be innocent at the very beginning but the game itself could bring a problem to reality as every Morty needs their own Rick. What happened to the Rick we see the on the very beginning is the same Rick that took over in C-137 out of guilt of letting his own Morty die, while the Prime Rick was away, thus leading to the events of Pocket Morty's Game and transforming him into Mysterious Rick which at the beginning and the end Mysterious Rick was only trying to recover his Morty from Rogue Rick by using a very complex plot that probably started by a mere accident.